Kids Math Teacher: 3rd Grade MaTh: busy, busy. 3rd Grade MaTh: busy, busy. Wow! Things have been super busy and I have been making good strides on my book. It is getting ready for it's January Kickstarter campaign to fund the publishing. The Pancake Menu is looking awesome! I really want to do a cover reveal, but I am holding off for a bit longer. With all of that activity and working on the script for the video (that we'll be filming next week), I have had no time to work on the blog. I really appreciate digiblocks for their guest post earlier this week! So, I don't have a 3rd grade MaTh ready. I tried to get it ready last week, but my post from last week took so long that I didn't have time to make a second post to schedule. Do any of you have that problem? It takes so long to make a post that you don't even start one. 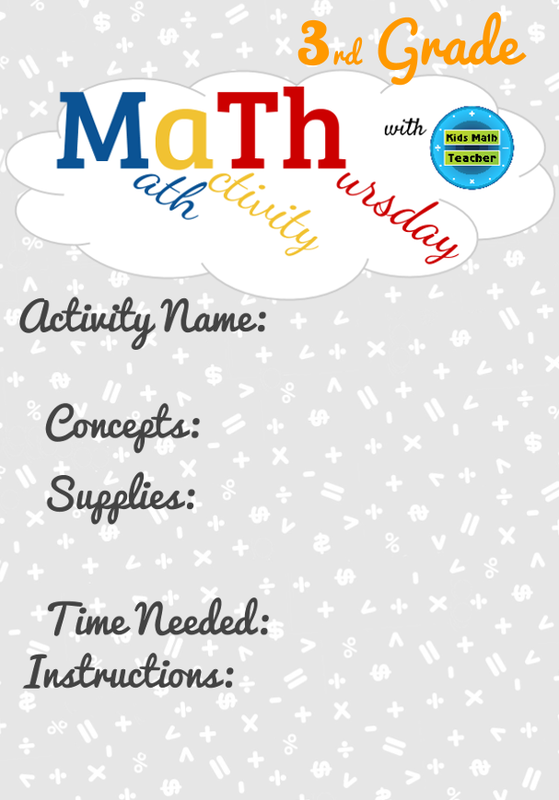 Anyway, if you have time, I invite you to add your 3rd grade math activity to the linky party. You can use this graphic or you can make a post or attach an applicable older post. I can't wait to see what you have done! Take care! Hope you have a wonderful Autumn! The link area is below.